Hi there, thank you for visiting my site. The below article I wrote will give you a little bit of information and background regarding sunless tanning. Also, I am asked everyday what my most popular and highest recommended products are for tanning, so I have selected the top 8 “Alana Picks” below. If you like the products, each company has more to offer, so check out their entire line available here on this website. Enjoy! Get a Safe Tan with Sunless Tanning Products: You no longer have to go out with pasty pale skin to protect yourself from premature aging and skin cancer. sunless tanning products have come a long way since their introduction decades ago. There are tanning products on the market that work so well you may be the only one who knows your “tan” came from a bottle! 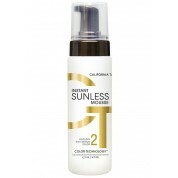 Sunless tanners (also known as self tanners) are usually available in cream, gel, lotion and spray form. Many spas or salons also offer professionally done spray-on tans. sunless tanning products produce a “tan” by causing their active ingredient, DHA (dihydroxyacetone) to react with the epidermis cell layers of the skin producing a darker color. The color lasts for a few days and then fades as the outer skin cells are sloughed off. Most sunless tanning products do not have any sunscreen in them so make sure to apply a sunblock or sunscreen. 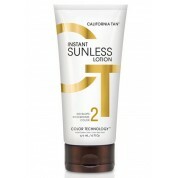 Topical sunless tanning products are considered safe to use. Many of the sunless tanning products go on clear and color begins to appear after about one hour, with full results within 24 hours. 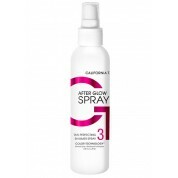 However, there are also a number of products that have a slight “tanned” tint to them, which can make even application a little easier since you can see where you have spread the tanning product. Always follow the directions printed on the product, but here are some general tips to optimize your sunless tanning experience for a naturally tanned glow. First, wash your skin and use a loofah to exfoliate and remove dead skin cells. Also, shave your legs (if you normally do) before applying the product. Next, spread (or spray) the product evenly, smoothly and lightly. Use a little less on the knees, elbows, or places where skin is thicker. Application on your backside may require a friend’s help! The backs of the hands are the final spot; make sure to wash your palms. Lastly, be sure to wait long enough for the product to completely dry before putting clothes on. If you would like to get that golden tan you’ve always dreamed of, Skin Care by Alana has products that will make you glow! 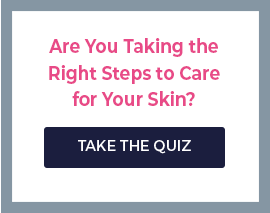 Call to speak with a licensed esthetician 7 days a week- we can answer all of your questions or help you with product ordering information. You can also order online anytime!